Football has The Premier League. Rugby has Rugby League. Television has it's League of Gentlemen and cinema had it's League of Extraordinary Gentlemen so why shouldn't Agility have it's own leagues, too? Leagues bring people together and measure their skills and achievement against their peers. Even if you're not a joiner, it's fun to compare yourself to other handlers and their dogs and share mutual experiences. Description: An inter-club competition based on total points earned by club members at KC shows. Description: Individual award tables for every size and grade of dog plus junior and veteran handlers. Membership: Open to all Grades, all heights, individuals and clubs. Fees: £25 single Membership. £35 family Membership. Join online. 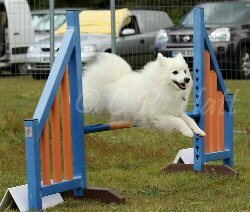 The Agility League for Spitz (ALFS) is open to all Spitz breeds including German Spitz, Japanese Spitz, Husky, Malamute and Klee Kai etc. plus their first crosses. The aim of the League is to promote and encourage Spitz owners to take part in agility and to broaden the knowledge that Spitz breeds do make fine agility dogs as well as other disciplines. Membership: For all Terrier breeds and their crosses, if it looks and acts like a Terrier then it is a Terrier. Membership: Open to pedigree Border Terriers only. No crossbreeds allowed. Fees: £4.50 per dog per year/season. The annual subscription fee is £4.50 per dog to cover admin costs and trophies. Description: A competition for anyone who competes with a rescue or rehomed dog in agility. 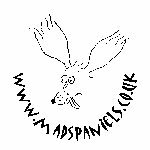 Membership: Open to rescue/rehomed dogs of any size or breed. Dogs must be registered with the Kennel Club. Fees: £3.00 per year and £1.50 per additional dog from the same household. Membership: Open to all dogs that qualify for the UK KC Gundog Group. Dogs must be purebred. No crosses allowed. Fees: Annual fee of £5.00 for the first dog per household and £1.00 per additional dog per household. Membership: Open to all Grade 1-7 dogs of any size or height that are KC registered gundog crosses. Including the following Gundog Crosses though this is not a limited list: Sprocker (Springer x Cocker), Labradoodle (Labrador x Poodle), Sprollie (Spaniel x Collie), Cocker x Westie. All heights and grade will compete together. Hoopers is being developed in the UK as a new form of activity for dogs, friendly and fun to do for virtually all breeds and ages. 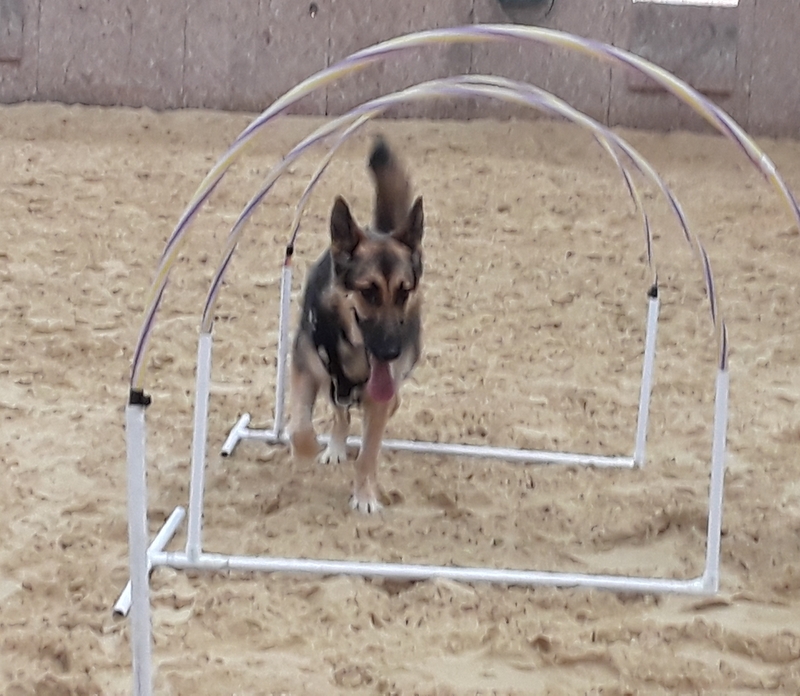 Over the last few years, an increasing number of dog trainers have been discovering the fun dogs have using a set of ground based arches, designed for low physical impact. In recognition of the expanding interest - and to promote the fun taking up Hoopers - Angela Lucas has set up a national points league. Membership: Open to all types of Lurchers (Sighthound X with any other non-sighthound breeds) and Longdogs (Sighthound X Sighthound) including rescue dogs even if the breeding is not known - as long as it is Lurchery! Membership: Open to any breed of Spaniel or Spaniel/Spaniel Crosses. If it looks like a Spaniel, it's in! No. of members: 20 approx. Membership: Open to all rescued and ex-foster dogs as well as dogs rehomed home-to-home that are registered with the Kennel Club and are owned by a person whose permanent main address is in Scotland. Membership: Open to all Rottweilers and Rottweiler Crosses. If it looks like a Rottweiler you’re in! Membership: - All sizes Schnauzers & their Crosses welcome. Fees: None but a donation towards the rosettes at the end of the year. Membership: Open to all handlers over the age of 55 years. Dogs can be any age, breed or size. Membership: Open to all purebred Staffordshire Bull Terriers only, no crosses. The League is divided into two parts - one for Kennel Club Shows and the other League for all other shows e.g. BAA, UKA and unaffiliated Shows. Dogs can enter both Leagues. Membership: Open to dogs that have been re-homed by Valgrays. Membership: Only open to older dogs, specifically BC/WSDs over nine years old and ABC dogs over seven years old. Membership: Must compete with a Weimaraner.